Truth is, we don’t know much about history, not only is history written by the victors of past conflict, stories regarding accounts of our past in various fields are also skewed. As Graham Hancock once said, “we are like a species with Amnesia, trying to piece together our past with fragments we find here and there.” One thing is for certain, there is no lack of multiple perspectives concerning historical events, with some of them even completely contradicting one another. Another factor to consider is that according to the estimates of some historians, the United States alone classifies approximately 500 million pages of documents every single year. The Library of Congress adds roughly 60 million pages to its holding each year. 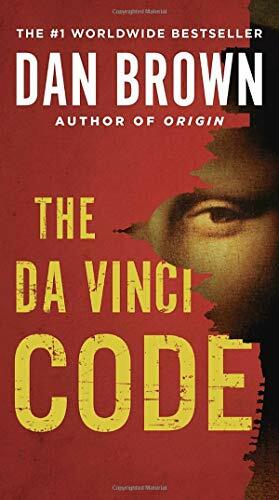 The Da Vinci Code (Rob... Dan Brown Best Price: $0.49 Buy New $3.01 (as of 03:30 EDT - Details) Despite these facts, alternative views of historical events, even if presented with solid evidence, is often greeted with a harsh response. It’s almost as if any type of suggestion or view that differs from the mainstream account is just not possible, which is unusual. Have we really been so brainwashed to the point where we don’t question the official accounts of history given to us from our governments and what is taught via schooling and academia? Why do we simply belief so many things without adequate evidence? And why do we disbelieve so many things that actually have adequate evidence? I suppose the human mind can only take too much, but our lack of acknowledgement of certain truths is contributing to the destruction of our planet in several ways. The idea that we may have been lied to on multiple accounts can be hard to believe for some, as many still believe our governments are looking out for us, doing the right thing for us, and at the highest levels of corporate and financial power, all is ethical. It should be quite clear today that no, that’s definitely not the case. These entities don’t really seem to care about us or the planet, if they really did, multiple changes would have been implemented years ago. The ice age is one of many examples that’s surrounded by controversy. We simply accept what we are told, but with more and more examples emerging every year showing what we’ve been told to be false, more and more people are starting to question everything. Below is a small example from one of many people who questions the Ice Age. Personally, the evidence is solid for the Earth warming and cooling throughout history, as well as ice-age periods but what might not be true, I believe, is the accuracy of the accounts, the timeline, and how it is shaped and fit in perfectly to describe the theory of evolution. According to conventional wisdom, the ice age is a period of long-term reduction in the temperature of the Earth’s surface and atmosphere, which resulted in the formation of ice sheets and glaciers. It states that the ice age began approximately 2.6 million years ago. It also posits that as early as 25,000 years ago, much of North America was covered by an enormous ice sheet, more than three kilometres thick. The supposed Ice Age has multiple different periods within it. Apparently, this most recent ice event, claims that so much water was locked up as ice that the sea level worldwide was about 450 feet lower than it is now, making it possible via land brides for prehistoric humans to spread around the world. One may call these three beliefs – the alleged giant ice sheets, the alleged greatly lowered sea level, and the alleged Bering Straight land-bridge by which the Indians came – the holy trinity of the Ice Age…For the average educated American the truthfulness of this holy trinity goes unquestioned. After all, not only is one brainwashed with it in school, but the brainwashing is reinforced by the many books and magazines, and TV shows (including both fiction shows such as movies, and so-called science shows), that take the reality of the Ice Age for granted….Up until my recent reading of the book Cataclysm (by D. S. Allan and J. B. Delair), I had assumed there were ice sheets, just as I had been brainwashed to believe. However, the authors of Cataclysm! say that the imagined ice sheets are a fiction, becasue the drift deposits and scratch marks, which constitute the primary physical evidence for the ice sheets, are better explained as the result of moving water . (in effect, a great flood), rather than moving ice. Johmann goes into more detail about this topic on his website, www.johmann.net and why he doesn’t believe the ice sheets existed. If you want to go into more detail I encourage you to check it out. Now, the evidence for Ice Ages and the warming and cooling of the planet seems to be very strong, but there are lots of cracks and questions to be answered, ones that show we might not be too accurate with regards to when these periods actually occurred, how they occurred, as well as the movement of various ‘ancestors’ that roamed the planet before us. 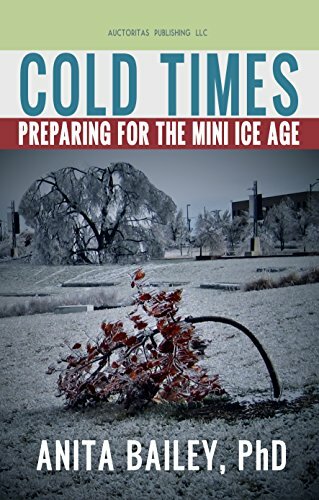 Cold Times: How to Pre... Dr. Anita Bailey PhD Check Amazon for Pricing. 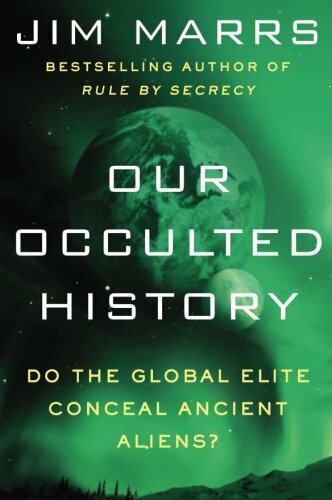 The story of human history seems to be far more complex and far different than what we’ve been told, which is why I wanted to present the above information, although a tidbit, and information that some might deem ‘crazy.’ It’s simply a lesson that there are valid questions surrounding the story of our history that’s been provided to us by our governments. The Piri Reis map is a map by Turkish admiral Piri Reis that dates back to 1513. It’s still available for viewing at the Library of the Topkapi Palace, in Turkey. This map is said to be a copy of earlier maps that predate Alexander the Great! This means that the map is more than 4,000 years old, and it’s hard to fathom how this would be possible without some type of aerial technology… think about that for a second. Another example I wrote about that goes into a little more detail was with regards to the theory of evolution, which directly ties into periods of the Ice Age. It’s linked below. The warming and cooling history of the Earth is heavily tied into the placement of our past, supposed ancestors so I thought it was important to present. This article is not meant to be a proof that the Ice Age didn’t happen, I believe, given the scientific data, that it most certainly did, and it may not be the last one! It’s simply a lesson in questioning what we think we know.